outside-in. Traditional construction takes an inside-out approach: trim hides imperfections, and hardware plays a visual role. Conversely, minimalist design requires inner complexity to achieve a sleek outer effect. Here, integrated storage and hidden hardware dictate frame design. Flush transitions require accurate machining and precise installation. cantilevered corners. Avoiding vertical corner supports, the wing walls contain stacked lumber behind their drywalled exterior. 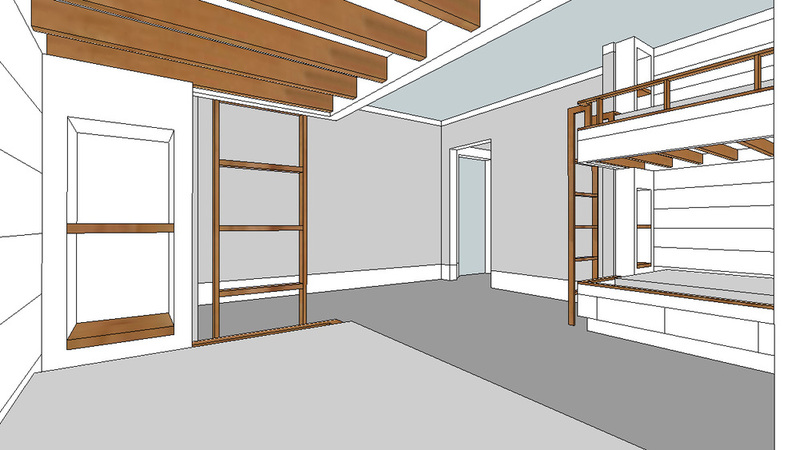 The cantilevered beam secured to them supports each upper bunk’s weight as well as the [potentially bouncy] “live load” above. room to grow. The bunks currently house standard twin mattresses. As their inhabitants lengthen, a rectangular flooring spacer can be removed from each bunk to make room for an extra-long mattress. 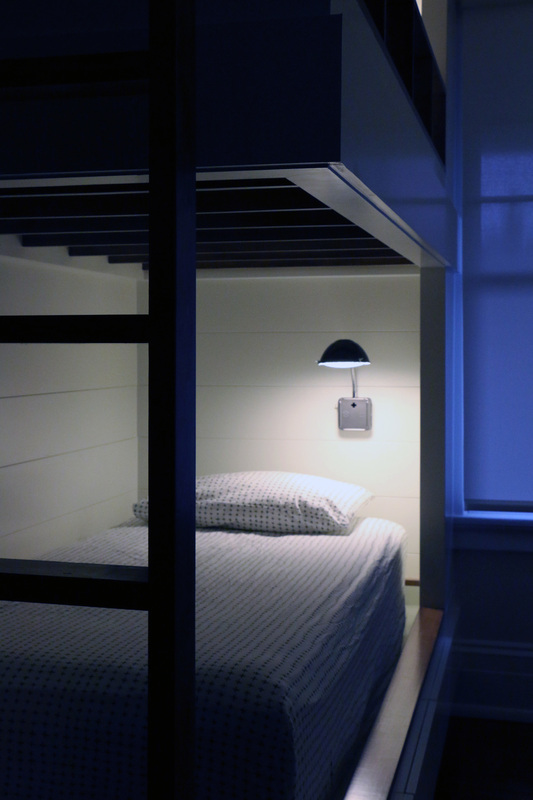 Each bunk also includes a recessed storage area with a power outlet suitable for night light or charging station.